Porsche Owners, if you haven’t made one of the Eurosport sponsored Tech Sessions for the Silver Sage PCA group, you may not know. 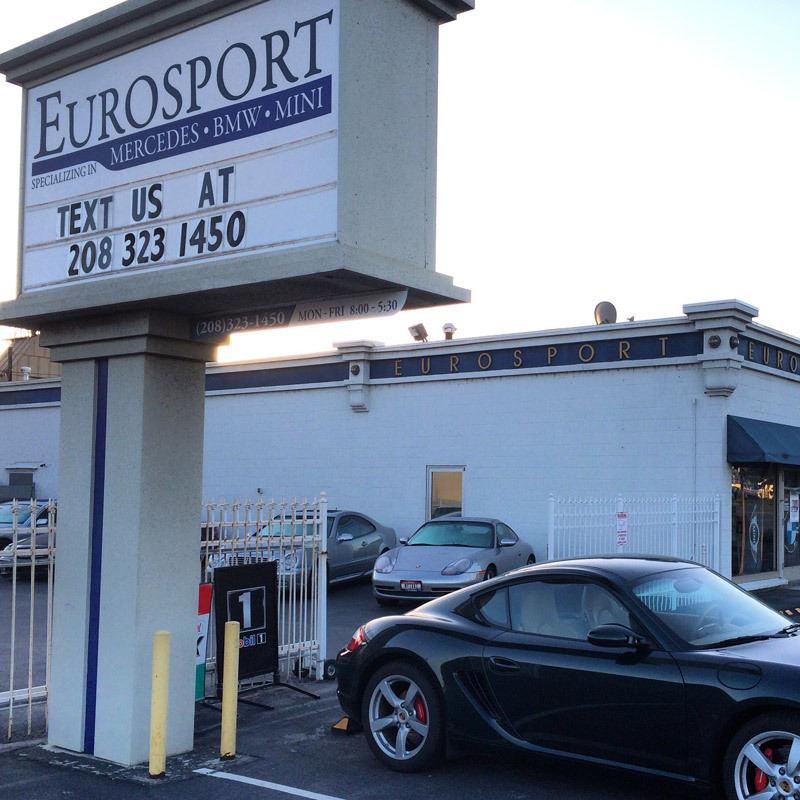 Eurosport is the only certified IMS Solution installer in Idaho. Our experienced Tech Geoff Gravett has completed extensive Flat 6 training and received the only certified Technician status in Idaho and some surrounding states. If you have questions or concerns about the IMS bearing in your Porsche call or text today to start a conversation about your Porsche. Christian or Geoff are here for your Porsche needs. We want to take a moment and welcome Patrick to the Eurosport Service Team. Patrick has been in the automotive and racing scene for the last 5 years. Patrick comes to us with a background in Volkswagon. We look forward to adding Patrick to our service team. Give Patrick a call today to set up your next service. 208-3231450 or request an appointment at eurosportboise.com. With the passion of our team at Eurosport it has become a goal of ours to support the European car community. Over the last few years we have been getting involved in our local Car Club of America institutions. Our Porsche Tech is in the PSA Silver Sage club, Our BMW Tech is in the BMW CCA, our president is in the MBCA Idaho Chapter. If you are interested in joining other enthusiast of your make of European car feel free to stop in and ask about the club and how to join. If you are already a member watch your CCAs schedule for upcoming tech events at Eurosport or watch for us out at a local event. Are you traveling for the Holidays? If so, how long has it been since your vehicle was serviced? If it’s been over 5 Months you may consider getting it checked over to prevent from having issues on the road. Call or Text Eurosport today to schedule an appointment. We will help assure your rig is ready for the road/season. Thank you and congratulations to Michael Skinner for attending and completing the BMW Motorsport III course at WTI. He learned some pretty cool tips and tricks for your Motorsport cars. Call or text today to schedule a time to have your Motorsport serviced/repaired. Good morning, check out our new website www.EurosportBoise.com. Let us know what you think. If you need service or an issue checked out your car, call , text or Request Appointment. It is that time of year again, back to school and the leaves are going to start turning soon. Give us a call today to schedule a time to get your students car ready for school or your vehicle tunes and ready for the season change.